We want you to have a relaxing and stress-free holiday and, to help you prepare for just that, we have outlined some practical information and traveling tips in a Question & Answer Format. You will be receiving full documents once your final payment has been received. Passports – What are the requirements for my passport? You must have a passport that is valid for at least six months after date of travel; anything under six months is at the traveler’s own risk. It is also ESSENTIAL that you have at least two blank pages in your passport (per country visited) to allow for visa stamps. For example, if you are visiting three different countries you should have at least six blank pages. If there is insufficient space in the passport, entry will be denied and you are likely to be detained, pending return to your country of origin. Please leave photocopies of passports and international tickets with someone at home or send us a scanned copy, just in case. In addition, if a minor (a child below the age of 18) is traveling with someone other than his/her father, mother or legal guardian, a letter of consent needs to be signed by the father/mother or guardian and kept on hand throughout travel. For example, grandparents traveling with their minor grandchildren would require a letter of consent. We can help in drafting the appropriate letter of consent. If the traveler does not want to get the letter, please be advised that you are doing so at your own risk. Please see the next section for important regulations regarding traveling with a minor in South Africa. What requirements do I have for traveling with a minor in South Africa? Important Note: This is a guide only – please check with your nearest Consulate for up-to-date information. When obtaining a VISA on arrival, please make sure you have EXACT amount in CASH, as no change will be given. There are many online companies, such as Visa Central (www.visacentral.com), to help you obtain visas prior to departure. Please note, these companies charge processing and postage fees for their services and you should allow at least 4 weeks for processing your visa requests. The Exclusive Adventures team would be delighted to assist you with these arrangements, should you wish to process your passport or visas through Visa Central. Check with your airline in case you have connecting flights overseas as part of your journey. It may be the case that countries you pass through en route to your destination may require a separate transit visa. Please refer to visa requirements of the specific country. Visa fees listed below are specific to US passport holders. For other nationalities please contact Exclusive Adventures Travel for assistance with your specific entry requirements. A visa is not required for US citizens living in the United States for South Africa. Visas are required for Zimbabwe. You can obtain visas for Zimbabwe at point of entry. Zimbabwe: USD30 per person single entry, USD45 per person double entry, USD55 for multiple entry. Single and double entry visas are available upon arrival, but multiple entry visas must be obtained prior to arrival. Kindly be advised that each time a client exits Zimbabwe the visa expires. If you have day trips outside of Zimbabwe (this may be especially true if you are staying in Victoria Falls), you should pay for a double entry visa on arrival in Zimbabwe. Should you only get a single entry visa, you will have to pay another USD30 on return into Zimbabwe. What are the entry / exit regulations? Please be sure to contact us with any questions you may have. All travelers require a valid passport, a return ticket to your country of origin, and sufficient funds to cover your stay. Most African countries have stringent entry regulations and it is illegal to enter or leave the country with anything other than nominal amounts of local currency. You must have a passport that is valid for at least six months after departure from the last country visited; anything under six months is at the traveler’s own risk. It is also ESSENTIAL that you have at least two blank pages per country visited in your passport to allow for visa stamps. What about airport taxes / charges or other fees? If you are traveling on an international carrier, it is most common that the airport or departure tax will be included in your airline ticket price. However, if you are traveling on a charter flight, you are sometimes required to pay on the ground in the country you are visiting. Exclusive Adventures is happy to help you estimate your costs for any airport taxes. Please note, all taxes/fees are subject to change. What is the Smart Traveler Enrollment Program (STEP)? Please visit https://step.state.gov/step/ for more information or to enroll in this program prior to travel. How do I contact the various Diplomatic Missions? Below is a list of each country’s diplomatic missions in the US and their telephone numbers, should you wish to contact them. A detailed contact list of Diplomatic Missions and US embassies abroad will be included in your final travel documents. What are the health requirements? What shots do I need? We are here to help advise you on what vaccinations and medications you should have before you depart on your holiday, but it is important to talk to your personal physician or travel clinic before you go. You can also visit the Center for Disease Control (www.cdc.gov) or Passport Health (www.passporthealthusa.com) for more information. Any personal medical supplies must be brought if you are asthmatic, diabetic, etc. NOTE: For medications that are questionable as to whether they will be allowed in the country, please bring a valid prescription and letter, stating the medical need for the medication. We also recommend bringing a spare pair of prescription glasses or contact lenses, if used. Please advise us if you have any specific health restrictions. The main towns and cities have normal chemist facilities (pharmacies) and doctors with internationally recognized degrees. Useful Contacts: The Center for Disease Control provides current information on health conditions in the various countries (Tel: 800-232-4636, Fax: 888-232-6348, web: www.cdc.gov). Malaria: Malaria is always a concern when traveling in Africa. Malaria tends to be more rampant in densely populated malarial areas. As most camps are in remote locations, the chances of contracting malaria are slim, but preventative measures are strongly advised. Expert opinion differs regarding the best approach to preventing malaria, so seek the advice of a trusted physician. The most common malaria pills are taken once a week, and the dosage starts two weeks prior to entering the malaria area and continues until four weeks after departing. When purchasing malaria pills, please tell your doctor or pharmacist which countries you intend to visit.It is important to bear in mind that malaria may be contracted despite taking tablets, especially in areas where chloroquine resistance has been reported. One of the best ways to avoid being bitten by mosquitoes is to use insect repellents liberally and often, especially from dusk onwards. Additional measures to help prevent contact with mosquitoes include covering up at sundown, sleeping under a mosquito net, and wearing long-sleeve clothing and long trousers in the evenings. Camps and lodges provide guests with insecticides and/or mosquito coils for use in the tents. Please use them. AIDS: The AIDS virus is prevalent throughout Africa and thus we recommend the normal precautions. Medical Services: Any necessary personal medical supplies must be brought if you are asthmatic, diabetic, etc. If medical assistance is given, doctors and hospitals require immediate payment. We also recommend bringing a spare pair of prescription glasses or contact lenses, if used. Please advise us if you have any specific health restrictions. The main towns and cities have normal chemist facilities (pharmacies) and doctors with internationally recognized degrees. In lesser-developed areas, medical facilities are limited and medicines may be unavailable. It is highly advisable to obtain travel/medical insurance prior to travel. Sun: The sun is very hot in Africa so we urge you to wear a hat and use sunscreen. Water: We advise that you only drink water that comes from purified sources (all town water is purified) and bottled water, which is readily available. Bilharzia: Bilharzia is a disease caused by tiny parasites (small snails) present in lakes, rivers, and dams. There is no prophylactic available against Bilharzia, which is treated by drugs or an injection. The condition can be unpleasant so it’s better not to swim in rivers or streams where the water is stagnant. Dietary: If you have any dietary requirements, please make sure we know well in advance of your trip so we can let all the properties know. Very specialized food items may not be available locally. How do I deal with money / banking? Most establishments accept international credit cards as a standard form of payment. Where USD cash is not an accepted cash currency, you will need cash in the local currency for tipping, shopping in markets and informal meals (like a local sandwich shop). You will be able to visit an ATM (remember your PIN) at the airport upon arrival, so exchanging currency before you depart is not necessary. ATMs are easily accessible in most major cities and areas. Cash is also accepted in all hotels, restaurants, and shops. We recommend bringing small denominations of cash for purchases of curios, drinks, and any small extras on site. Typically, you will get a better exchange rate if you use a credit card versus cash. BUT, before traveling, it’s a good idea to contact your credit card company to 1) let them know you will be traveling abroad and 2) ask if they charge a “transaction fee” for every international charge. This fee can add up quickly if you are putting all your expenses on the card. Most of us have several cards in our wallet. By knowing which card to use, you can save yourself the shock of an unexpected expense. Please never let your credit card out of your sight to be run through a machine. Make sure your eyes are on it at all times. Please note: For exchange purposes, US$ dollar bills smaller than USD100 may attract a less favorable rate of exchange and notes older than 2001 are not accepted by hotels, banks, and others. The reason for this is there are a huge amount of imitation/fake US$ notes in some countries, so only the new notes are widely accepted. Bring a mixture of denominations with you for shopping and tipping purposes. Also, never exchange money unless at a hotel cashier or in an established official bank or Bureau de Change. Please avoid using traveler’s checks and personal checks as gratuities. Guides and staff may find them very hard to cash as they can only be processed through bank accounts. US$ cash is the easiest foreign currency to use in most destinations. South Africa: South African Rand – USD is acceptable for tipping, but other cash purchases/payments should be made in Rand. Zimbabwe: US Dollar- While it is not advised to carry large amounts of cash, please note that credit and debit cards are not widely accepted. It is possible to withdraw cash from some ATMs, however, IT IS NOT advisable to rely on this service being available throughout Zimbabwe. Be sure you enter the country with sufficient funds to cover restaurants and extra activities as there is not always access to cash. We recommend USD200 to cover extra activities & park fees not pre-booked, and USD200 to cover any shopping and additional charges per person while at Victoria Falls. It is advisable to have small denomination notes, as change is rarely available ($1s, $5s, and $10s). What about my safety / security? Personal security is a prime concern for many visitors to Africa. The common sense employed in any of the world’s major cities will go a long way towards your safety. Do not leave valuables in hotel rooms. All valuables should be locked in the hotel’s safety deposit box or room safe. Carry your camera in a non-flashy bag. Southern Africa is seven hours ahead of Eastern Standard Time (six in daylight savings). What is the electric current? Will I be able to use my hairdryer? The electrical current is 220 volts AC. United States uses 110 volts AC and most European countries use 220 volts AC. African countries have both round and rectangular pronged plugs, ranging from two to three prongs. You will need to take an electrical current conversion adapter with you as well as plug adapters. You can find more on the varying plug adapters here, www.hillsofafrica.com/blog/which-power-adapter-do-you-choose. Most safari camps rely on generators to provide electricity; and due to their noise, generators are normally used during the day and turned off at night. Some safari camps rely on solar power to provide electricity. Hairdryers may not be provided at all safari camps, so you will need to take your own, however, it is not guaranteed you will be able to use this at all camps. In most safari camps, you can leave camera and video batteries with camp headmen or receptionists for charging, but it is advised to bring a few spares. Very few mobile or tented camps have electrical outlets in the tents, and if they run on restricted power such as solar, invertors, or generators, they will not be able to cope with ‘greedy’ appliances. As most camps offer laundry services, coupled with the fact that the smaller aircrafts restrict baggage allowances, it is wise to pack a small, soft, waterproof duffle bag that can be easily manipulated into the luggage compartment. Also, you don’t want to be hauling around a heavy suitcase. Lightweight natural colored clothing is preferable, i.e. khaki, brown, and beige, if visiting bush camps for summer months with a jacket/fleece for evenings or cool days. Some of the city hotels require more formal dress for evenings. The lodges and camps are very informal and casual clothes are suitable. Please note that military uniform is banned in African countries. Bright colors and white are NOT advised while on safari. If you’ve forgotten anything – don’t panic. Africa is not the back of beyond, and you can buy everything you need there. A day bag is useful to bring, as it can hold your binoculars, sunscreen, insect repellent, fleece, and other items for the full day game drives. If you bring a (sports) water bottle for your personal use, which you can fill up each day, it will help save the environment and cut down on the use of plastic water bottles. Following is a list of suggested items to bring on your holiday. Please bear in mind the luggage restrictions listed in the What are the luggage restrictions on charter flights? section. Waterproof/dustproof bags/cover for your cameras. We think the Ziploc bags are perfect! What are the luggage restrictions on charter flights? If you will be traveling to multiple destinations, please defer to the lightest weight restrictions for your checked luggage. Should you need to make arrangements to store or ship excess luggage, we are glad help with making those arrangements. Please note that there may be additional charges for storing or shipping luggage. Zimbabwe: Luggage, including camera equipment and hand luggage, is restricted to 20kg (44lbs) per person. The aircrafts are designed with a maximum bodyweight and luggage weight allowance. Most airfields are over 3,000 feet above sea level and are located in the tropics, and therefore the permissible aircraft carrying capacity is reduced. The aircrafts have physical space restrictions. The maximum dimensions of the soft bags are as follows: 25cm (10in) wide x 30cm (12in) high x 62cm (24in) long (the size of the door of the 206 pod). Please keep in mind that the baggage compartments on the light aircraft are only 25cm (10in) high, so the pilots must be able to manipulate the bag into the compartment. Luggage with wheels also adds to your total weight. So the rule of thumb for your luggage is: soft, non-rigid bags with no wheels, following the dimensions above. Passengers weighing 100kg (220lbs) or more, please advise us in advance (an extra seat will have to be purchased). Laundry can be done on a daily basis (and many camps provide this service, free of charge, but hotels do charge a nominal fee). What if I have luggage I would like to ship or securely store? Many travelers prefer to travel as light and worry-free as possible. You may ship your luggage ahead to meet you at your first stop, or on your return to meet you at home. We can assist with this process through insured luggage shipping services, such as www.luggagefree.com/hillsofafrica/, to avoid any unexpected surprises and missing bags. Also, if you wish to store luggage during a portion of your trip, we can assist in arranging secure storage. This situation may arise if you are embarking on a charter flight with strict luggage size and weight restrictions. The Exclusive Adventures team is happy to help with arrangements for shipping or storing luggage through our trusted partners. Please note that additional fees may apply. What do I need to consider to rent a car? Travelers who wish to rent a motor vehicle while in Africa must be in possession of a valid International Driver’s Permit/License. The South Africa traffic department now enforces a law, which was passed in 1998, and travelers must obtain this document before leaving their country of residence. Both your foreign driver’s license and your International driver’s license must be carried in order to hire a vehicle in Africa. International driver’s permits may be obtained through AAA. Go to www.aaa.com where you can download information and an application. You may also visit your nearby AAA branch and fill out the appropriate paperwork in the office to obtain your International Driver’s license. The entire process in the office takes approximately 15 minutes. Driving is often on the left side of the road (unlike the right in the USA). Also, be advised that automobiles are reversed on the inside (driver to the right), and are primarily standard transmissions (stick shift). Automatic and larger vehicles should be reserved well in advance, as there is only a small selection in Africa as a whole. Because of the decreased availability of automatic and larger automobiles, they can be considerably more costly to rent. Can I use my cell phone? How do I call home? Africa does not have the most up-to-date telephone service in the world. Most of the city hotels will have the ability to call anywhere in the world, but it is expensive. Should you bring your own phone and have it on an international roaming network, most major cities, as well as most of South Africa and Victoria Falls will have adequate cell phone network coverage. 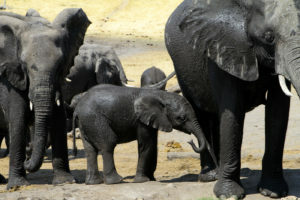 With the exception of urban centers, coverage is inconsistent or nonexistent in some areas of, Hwange National Park. Wireless Internet is available in most properties and even some safari camps, where you are able to access Skype, What’sApp, and other web-based communication applications. Exclusive Adventures would be pleased to help you find the best rate for international cellular and satellite phone rentals, should you require constant coverage. There are often satellite telephones available for client use at most safari camps, although usage is charged at current rates. The outgoing international code is 00 for the United States. First, you should contact your cell phone provider and determine if your cell phone will work in the countries you are visiting and request their international roaming plan. It is important to note that data charges on a mobile phone can be quite expensive in Africa, depending on the agreement that your carrier has with the cell operators there, so be sure to ask your provider about these charges. Depending on the type of cell phone you have, they may or may not work there. Most new cell phones work as they are either bi-, tri-, or quad-band phones. The only phones that do not work are the older single-band phones. The advantage of using your personal cell phone is you keep your own number and address book and there are no rental fees or security deposits. You may be able to purchase a compatible SIM card for your existing phone in the country of travel (newer phones do not have SIM cards). However, your phone must be unlocked for this to work. You will need to contact your service provider to find out if it is unlocked. This will allow you to pay local rates for calls you make. Just be informed about all the charges, including what it costs to receive calls and to make international calls. In South Africa (Johannesburg and Cape Town), you can rent a phone when you arrive at the airport and use a pay-as-you-go card. Another option is to get a calling card and find out how you would dial from your chosen destination. Some city centers do have Internet Cafes, but they are very limited. Exclusive Adventures strongly suggests that before leaving home you make sure you have adequate travel insurance – and make sure you know exactly what it covers. If you are planning to indulge in some of Africa’s wonderful adventure activities, check that you will be covered in the unlikely event of an accident. All travelers should take out a fully comprehensive travel insurance policy to cover travel cancellation fees, and loss or damage to baggage and personal possessions. Whatever you do, read the fine print carefully – once you’ve hit the problem, it’s too late to start renegotiating the contract. Exclusive Adventures Travel can assist in purchasing travel insurance. Medjet Assist is a medical evacuation membership program that arranges medical transfer to the hospital of the member’s choice. If a Medjet member becomes hospitalized more than 150 miles from home and meets transport criteria, Medjet will arrange medical transfer to the hospital of their choice at no additional cost. All the member pays is their membership fee. Exclusive Adventures Travel can assist in purchasing a Medjet Assist membership. Please visit www.medjetassist.com/hillsofafrica for details on this program’s membership opportunities and benefits. NOTE: This ‘insurance’ does not replace travel insurance and is recommended to be purchased with travel insurance. This membership only allows a client to request to be transferred from a hospital where they have been admitted to a hospital of their choice (anywhere in the world). Clients can buy annual memberships or just short-term coverages. Medjet works closely with Flying Doctors, which is explained in the following section. Luggage that goes missing on scheduled flights is beyond the control of Exclusive Adventures Travel and often the airline concerned, too. The airport controls passengers’ luggage from when it is checked in until it is put on board the aircraft. We would like to suggest that you take the following precautionary action: Please pack a small bag with your essentials, including any life-sustaining medication, which can be carried with you as hand luggage, and pack a second bag containing non-essentials that can be loaded in the aircraft hold. If the second bag does not arrive, you will still have your essential items on hand to see you through the first couple of days while we try and recover your baggage. Personal expenditures, meals in major cities, insurance, drinks (other than specified), gratuities, airport taxes, and visa fees are generally excluded. Scheduled flights are also generally excluded from your tour fare (unless otherwise arranged). We suggest that you allow USD25 per day to cover the cost of personal expenses and souvenirs (within reason). What are your suggestions on tipping / gratuities? We offer the following guidance on tipping in terms of what’s appropriate, what’s expected, and who to tip. Before you read through these guides, keep in mind that these amounts are only suggestions. We encourage you to reward guides and others based upon their performance. USD5 per guest/per day for safari camps. This should be placed in the communal tipping box to be distributed equally amongst all the staff at a later stage. USD5 per room/per day for hotel staff (i.e. housekeeping, etc). Please check in early at all airports (at least one hour prior for domestic flights, three hours for all flights to the USA, and two hours for regional and other international flights) as the flights are occasionally overbooked. Please be aware that during peak season, delays are often encountered on scheduled flights. Remember that you are on holiday. Relax and enjoy the ambiance, which sometimes has no sense of urgency at all! Should I reconfirm my flight? YES. Please ensure that all your onward flights are reconfirmed at least 72 hours prior to flying. Listed below are some helpful telephone numbers to assist you in reconfirming your flights. What are the rules on wildlife and safety when staying at safari camps / lodges? Most of the safari camps are unfenced and dangerous animals can (and do!) wander through the camps. Many of the animals and reptiles you will see are potentially dangerous. Attacks by wild animals are rare. However, there are no guarantees that such incidents will not occur. Please listen to the camp staff and guides. Safety precautions need to be taken seriously and strictly adhered to. Don’t wander off on your own without a guide – even to your rooms. After retiring to your rooms at night, don’t leave. Never attempt to attract an animal’s attention. Don’t imitate animal sounds, clap your hands, pound the vehicle, or throw objects. Please respect your driver/guide’s judgment about proximity to lions, cheetahs, and leopards. Don’t insist that he take the vehicle closer so you can get a better photograph. A vehicle driven too close can hinder a hunt or cause animals to abandon a hard-earned meal. Water is a precious commodity in the camps/lodges, so please help by switching taps off when brushing teeth, having shorter showers, and not requesting clean towels and sheets daily. Only submit necessary items for laundry. Always switch off lights in the room when you leave, as it only attracts the bugs. You are in Africa and, yes, there will be a fair amount of creepy crawly things around and in a variety of colors, shapes, and sizes, especially in the rainy seasons and at night, around lights. All tents have insect-proof zips and windows, and most hotels and lodges have mosquito nets. While you are having dinner, most places will, at turn down, spray your room with an insecticide. Long pants, with socks and long -sleeved shirts and liberal coverage of a good insect repellant are your best defense against mosquitoes in the evenings. 100% Deet doesn’t really work with Tsetses but does work in repelling flies and other insects. (Be warned that repellants with a high concentration of DEET will have a corrosive effect on sunglasses, wristwatches and automobile paints and binocular rubber protection. Citronella-based or “ecological” alternatives often are effective as are non-DEET based insect repellants). SIDE NOTE: By visiting www.owens-foundation.org and then following their link to Amazon.com, a small fee will go to the Owens Foundation in support of their efforts. It will not cost you any extra when purchasing your books. Do you have any tips on photography? Wildlife photography can be very challenging. Here are some tips about things to be aware of when on safari. Make sure your zoom lens is powerful enough as you may not be able to get close to the wildlife you want to photograph. The animal you want to capture must look large in your viewfinder. Minimum recommendation is 300mm. Flash photography is sometimes restricted. Check with your guide if you are unsure if it is ok to use a flash. Green colors ‘absorb’ light so you will need to have a high film speed to compensate. Have plenty of spare storage capacity so you are free to snap as often as you like. Many wildlife moments happen so fast that you need to be able to click away. The noise made by cameras can be alarming to some animals. Be prepared not to take photographs, except when appropriate. Please turn off all the beeps/chimes on cameras, even during startup. Have your camera ready at all times. You may not be able to make any movements or change lenses or batteries when you are close to sensitive animal or animal interactions. Your guide will be quick to warn you not to make any moves if he considers it inappropriate or if it will upset the animals in anyway. Make sure you are prepared for sudden showers or boat journeys and have something to protect your camera. The boats do not always have areas to keep you dry and you may be away from your car or on a walk. Test all your camera equipment prior to departure.